There are many key drivers behind this trend: Baby boomer physicians are retiring, yet the aging baby boomer population still requires care. Additionally, with the rising cost of education, fewer students are going into M.D. programs in proportion to the general population. What’s more, the distribution of physicians means a glut in urban locations, while many rural areas remain underserved — an issue that is expected to get worse. 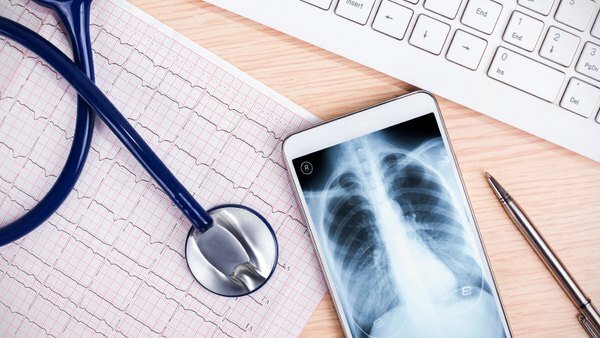 The physician shortage has prompted a growing number of brokers, employers and HR professionals to take a serious look at telehealth, the remote delivery of health care services and clinical information using the internet, wireless, satellite and telephone media. Telehealth provides increased access to health care while reducing health care costs. Experts predict 7 million new telemedicine users in 2018. More key findings show that more than half of all states (29) have passed laws mandating insurers to cover telemedicine services, with almost 75 percent of Americans reporting they are willing to schedule a telemedicine appointment. Health care consumers recognize the benefits of telehealth. For example, they can make and keep video visits without ever leaving the comfort of their homes or missing work and costs are reasonable, often little more than the cost of a copay for a cash visit. Furthermore, wait times are minimal, and there is no need to deal with the inconvenience of getting time off from work, arranging transportation, or sitting in crowded waiting rooms. Although a video visit cannot take the place of a direct examination in all cases, innovative approaches have found solutions to many of the limitations of telehealth. Telehealth in the workplace offers employers a unique way to ensure their employees are receiving timely and convenient health care as part of an overall health insurance package or program. Telehealth saves time and money for employers and employees by reducing costs associated with visits to urgent care, emergency rooms and the doctor’s office. It also contributes to a healthier work force with increased productivity and reduced absenteeism. Telehealth can also alleviate the concern some employees may feel about taking time off work for appointments. Nine in 10 Americans stated they would cancel or reschedule a preventive care appointment due to workplace pressures. Employers can show their employees how important their health is by providing telehealth as a part of their benefits. While some telehealth business models have resulted in disappointing return on investment (ROI), newer business models are providing the foundation for robust ROI and higher quality telehealth care. Models that reduce the cost of care and improve patient satisfaction have been shown to work well with value-based reimbursement. Some companies now specialize in teaching and consulting with administrators on how to design and implement more sophisticated business models. By implementing inexpensive and proactive telehealth compliance checks-ins, these models enhance and promote the provider-patient relationship and reduce expensive re-hospitalizations. As a result, better methods of implementation are leading to significant gains in access, quality of care and outcomes for patients. Going forward, brokers, employers and HR professionals can play a pivotal role in fueling the telehealth revolution. James B. LeVasseur, Ph.D., has been a pioneer in telehealth for over a decade. Founder of a telehealth-based medico/forensic consulting firm and co-founder of First Choice Telehealth, Dr. LeVasseur takes a down-to-earth and practical approach to applying telehealth, offering customized solutions individualized to fit healthcare organizations and provider needs.